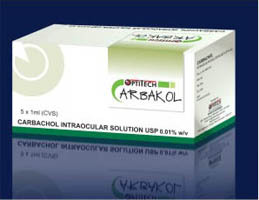 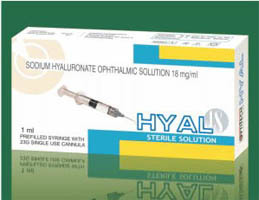 Carbakol is used in the eye to treat glaucoma also used in the eye surgery. Tissue Blue is a vital dye, used to visualize the Capsulorhexis during cataract surgery in the absence of red fundus reflex. 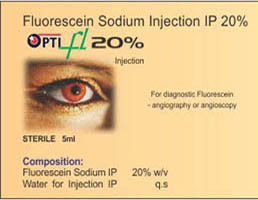 It stains the anterior Lens capsule offering excellent visualization in eyes with mature cataract. 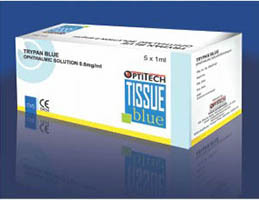 Tissue Blue is a sterile preparation of Trypan Blue in an isotonic, buffered vehicle. 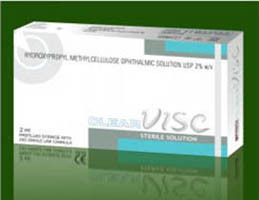 It is a sterile, isotonic, nonpyrogenic viscoelastic solution of highly purified, non-inflammatory, 2% hydroxypropyl methyl cellulose (HPMC) with a high molecular weight greater than 80,000 daltons.